In 2006, a group of young people of different nationalities, backgrounds, attitudes and political views took a trip to the Baxter Detention Centre. The stories of the people they met behind the razor wire surprised, moved and challenged them. We Will Be Remembered For This documents their journey. It is a film for everyone. It is a clear, rational and nonpoliticised look at the human issues of Australia's mandatory immigration detention policy. This film poses the essential questions surrounding Australia's refugee policy. Who are the people behind the fences? How did they come to be there? What are the psychological and legal battles they now face? How much do average Australians know about this policy, and if they knew the truth, would they want it to change? 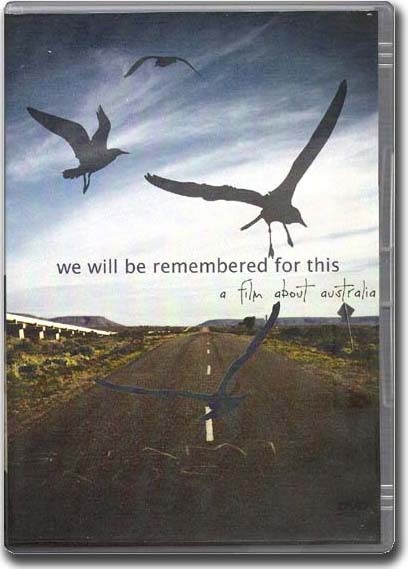 "I cannot think of another documentary in this area that's more suitable to be viewed by people who may know hardly anything to nothing about Australia's detention policies for asylum seekers. For most of the cast, the visit to a detention centre is their first ever, and their comments reflect the struggle with coming to grips with what we are doing as a nation." "There is a unspoken 'lightness of being' amongst the vision and between the sentences and it is that, which compels the viewers to identify with the central characters of the movie. This is a must-see at colleges, schools, community groups and even in mainstream cinemas." "Honestly I have no idea what these people's reaction is going to be to us. To them we're just a bunch of nine strangers that are coming in ... who knows how they'll react to that? Because at the end, we get to leave..."
"This film poses the essential questions surrounding Australia's refugee policy." Movie preview: 'We Will Be Remembered For This'. Time: 6:58min. To create this film, the filmmakers drew together a diverse group of people. A teacher, a nurse, a handful of uni students, travelers and an academic. Some who had never visited detention, others who had done so for years, and one who had experienced it for himself. Those opposed to the policy, those in support, and those as yet undecided. Some who had never really thought about it, another who thought about it for a living, and others in between. The film-makers' objective was almost experimental: to rise above social, cultural and political differences, to draw out common threads upon which all could agree. In other words, this film strips back politics and encourages viewers to see the issue for what it really is: profoundly human. an exploration of if and how the current policy may be justified or necessary. "a lot of time i want to talk. i want someone hearing me. i am in pain, and i just want to talk to someone..."
This film was produced against a volatile political background, in full awareness that most people feel ill prepared or unwilling to get involved in the asylum seeker issue. We Will Be Remembered is a tool by which people can become more aware and informed, using this awareness and information to formulate the opinion of their choosing. This film has been made for you, your grandparents, your teachers, your students and your friends. It's for politicians, prisoners, and school kids. "when I visit detention and hear people's stories, politics is the furthest thing from my mind. When a baby has been killed in cold blood, or a family has disappeared, and when a young man's face still bears the scars of torture, the fuss bother and noisy rhetoric of the Canberra machine could not be less important". The characters of We Will Be Remembered For This have undertaken a journey. There were some laughs, some let downs, a few epiphanies, a lot of driving, discussions, debates and questions raised. The film-makers' goal was reached - to unite this group of people, to rise above the things that divided them, and to identify and illuminate the things they shared in common, with each other and with the people behind the fences. 2. clarification that you'd like to receive We Will Be Remembered For This, and the number of copies you require.